After 5 years of very steady service I decided the sewing machine might, finally, need a service. There's nothing wrong with it but it was getting pretty noisy and it dawned on me that at our house a bicycle chain gets regular lubricating, and a race bike would get cleaned and cared for after every outing. So how is it that the sewing machine has gone 5 years without a drop of oil? So, it's spookily quiet at home with the sewing machine gone for the week. Here, I'm trying to relive a childhood memory of heating our pyjamas in the airing cupboard behind the fireplace. Unfortunately a heated towel rack (that came free with our house purchase) just doesn't cut it and there's none of that scalding button toasty hotness here. For safety's sake that's probably a good thing, but gee those hot jammies felt good. Hot or barely lukewarm, these pyjamas still feel awesome. For the first time I bought some Michael Miller flannel online from fabric.com and it is divine. To date, the only flannel I've had is Woollies by Maywood studio (here) and this lovely fabric. I think I may have spoiled myself. The pattern was a pattern bust that I've been wanting to get onto for ages. 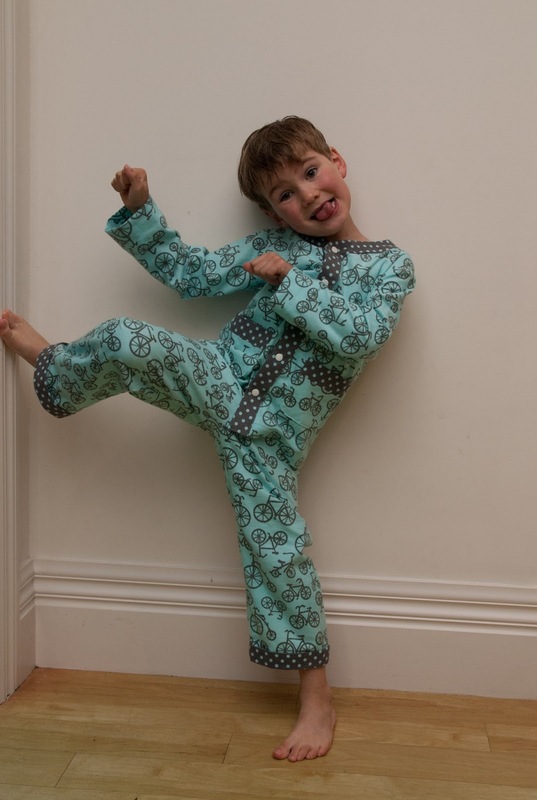 The Oliver + S Sleepover pyjamas. It goes without saying that they were a delight to sew. The girly ruffles is a fun addition and I was super happy about stepping out to the shed and popping in the snaps in five minutes. No way I could have done nine buttonholes and nine buttons as quickly or as joyfully. The only thing I need to do is go back and tack up the pants cuffs in a few more spots as they keep unfolding. 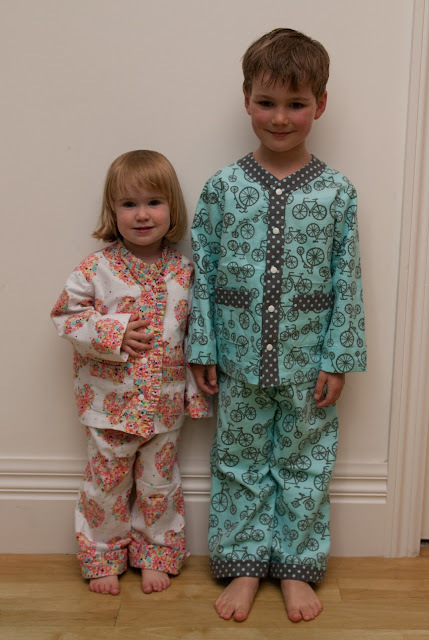 These pyjamas have been a rare success in that both kids absolutely LOVE them. They've been worn every night since they were finished. I was reading sewing blogs and read Once Upon A Sewing Machine's post about what gets worn and what doesn't and couldn't bring myself to respond as it all gets a bit depressing. Until of course I think, screw the kids I'm sewing to amuse myself. At least with these pyjamas, they were needed (sorely! ), pattern bust achieved, I had fun, and the kids are super happy with them. You will never regret it and I'm sure you'll love the finish that you can achieve especially on those skinny tees for the kids. 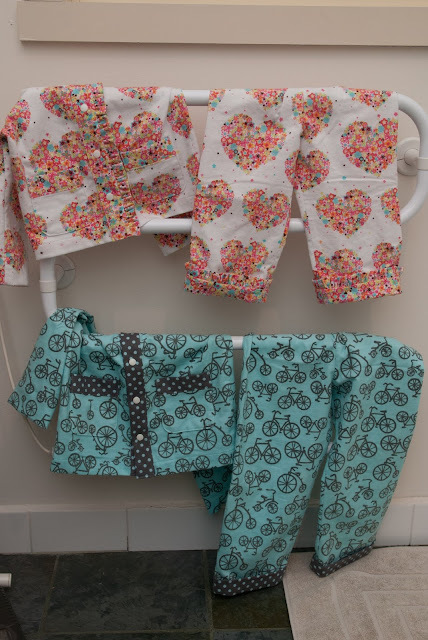 Thanks for the shout out :) These pjs are adorable and I'm sure will go in the win pile! 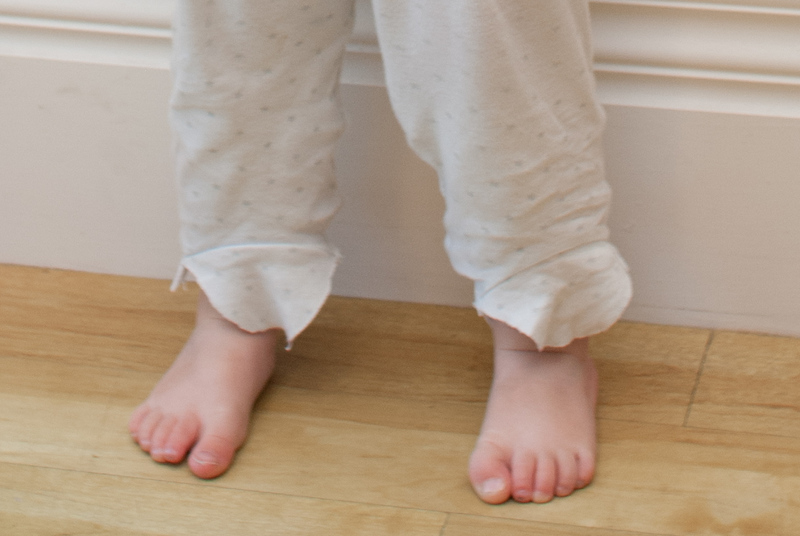 I really dragged my feet picking up the Flashback pattern, but it is so handy- and would translate into a great pj top for sure. It is a bit odd when the machine is out of the house my work space seemed so much bigger...hope yours comes back quickly!